On eye contact, staring, gazing, appraising, and looking at. “Eye contact” is not as well-defined a concept as it seems. As a child, I had an idea that true eye contact required a perfect eye-to-eye lock: my right eye looking into the other’s left eye, my left eye looking into their right, and vice versa. This, of course, is impossible; you have to pick one eye, or a point somewhere near the eyes on the face, in order to focus your gaze. The paths might randomly cross, but they don’t meet and stop. When standing near someone at a party, or sitting on opposite sides of a desk, holding eye contact is tricky — not because of the intimacy, but because you have to move your eyes around to take in their whole face. Counterintuitively, the illusion is easier to maintain if the person you’re looking at is farther away. I never understood my father. 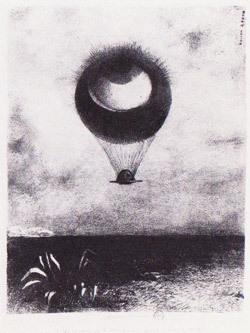 But when a condition threatened my eyes, I came a little closer to insight. Here in the crowded retina clinic, we’re waiting to have pictures taken of our macula with marvelous cameras, the backs of our eyes are about to be zapped with lasers or, like me, our central retinal veins have occluded — fancy term for a blood clot — and the retinas have swollen. The result is blurred and distorted vision. Luckily, only my right eye is afflicted. I’ve already read the chart — could barely make out the large E at the top — and have had dilating drops put into my eyes, so now I’m waiting for my pupils to become pie tins, big enough for someone to look all the way into my soul. 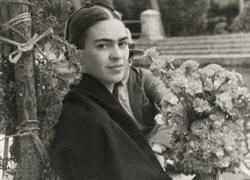 Frida Kahlo of the paintings has The Look. Frida Kahlo of the photos does not. Why? 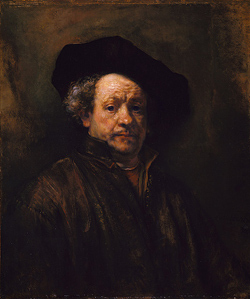 In his faces, the Dutch painter's humanism comes through.